Today, I spent a fair part of the day listening to some podcasts on 7 Photography Questions. http://www.7photographyquestions.com/ Listening or seeing other photographers work or ideas always brings new thoughts or reinforces thoughts. I look and listen to other photographers as often as I can. 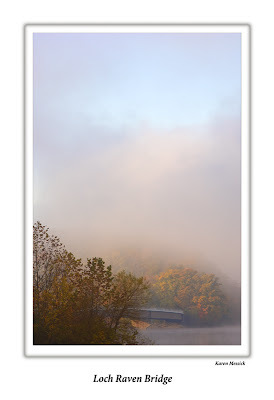 Jim Zuckerman spoke about improving fall images and he mentioned anytime there is fog he grabs his camera and he is out the door. Bill Neill talked about going back to the same locations and finding different scenes each time. 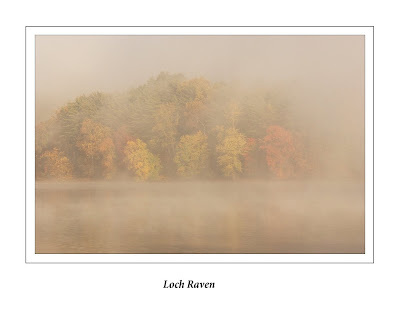 Loch Raven is a spot I visit when there might be some interesting atmospheric conditions. So on this cold winter night I went back to some fall files and processed some images.